French dairy multinational Danone has announced its intention to close its dairy unit in India in order to focus on its infant nutrition portfolio. As a consequence of the decision, the firm’s facility in Rai, near Delhi, which produces milk, smoothies, buttermilk and yogurt will ceases production, while its factory in Lalru , Punjab that produces infant nutrition products will continue to operate as usual. 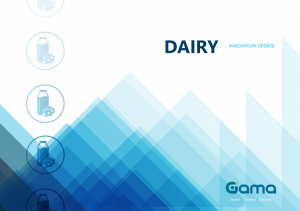 FoodBev reports that infant nutrition represents over 90% of Danone’s business in Idia. A Danone spokesperson commented: “We have great ambitions for our business in India and remain committed to invest and grow in India through well-established brands such as Protinex, Aptamil, Farex, Dexolac and Neocate”. “In order to maximise growth opportunities, we are continuously analysing our portfolio and sharpening our focus to accelerate investments on the best performing categories and products”, they added. ”For this reason, we will discontinue some of the SKU’s sold in India”.